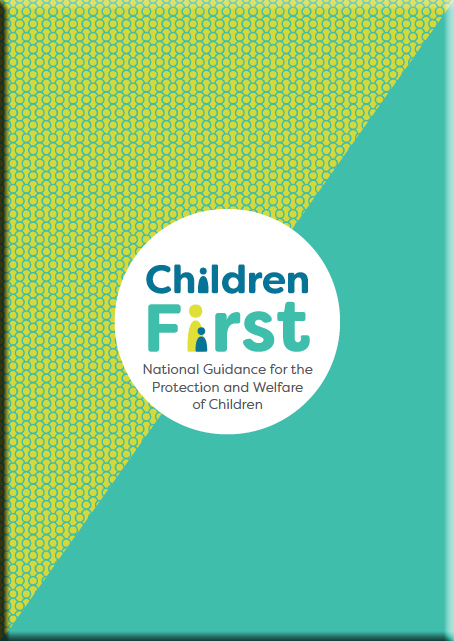 Children First, National Guidance for the Protection and Welfare of Children 2017 was launched on October 2nd 2017. This Guidance is a primary reference for all citizens to report concerns and includes the new legislative obligations. It provides clarity between the legislation and the existing non-statutory obligations which will continue to operate for all sectors of society. Children First Guidance describes the four main types of abuse and sets out the steps which should be taken to ensure that the child or young person is protected from harm. It has been updated to include new information about the Children First Act 2015 and it includes specific information for the professionals and organisations that now have legal obligations to keep children safe. The Guidance also outlines the roles of the main statutory bodies involved in child welfare and protection: Tusla - Child and Family Agency, and An Garda Síochána. It contains details of how to report a concern about a child and what happens once the report is received by Tusla. The Act places a number of statutory obligations on specific groups of professionals and on particular organisations providing services to children. The legislation also contains a provision that removes the defence of reasonable chastisement in relation to corporal punishment as part of court proceedings. The policy intent is that the legislation will operate side-by-side with the existing non-statutory obligations provided for in Children First: National Guidance for the Protection and Welfare of Children (2017). The full text of the Children First Act 2015 is avilable here.